Really? 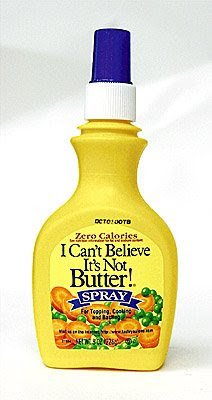 It's in a friggin' plastic spray bottle, for chrissake! Isn't that a clue? On the front page of today's Boston Globe, there are two stories with interesting parallels. One is the story of a 13 year old boy who, along with another 13 year old and and a 20 year old, murdered his drug-dealing half-brother, stole $10,000, and set fire to the body. The other story deals with Bernie Madoff, the Wall St. investment artist who bilked some of the largest investors in the world out of $50 billion, bringing major charitable foundations to ruin. In this holiday season, it's good to remember the basic human qualities we all share. I have a lot of books. I mean a lot of books. Thousands. I think if I got rid of them all, the house would rise several inches from the ground. I've always been a book hoarder. I somehow delude myself that merely possessing them somehow gives me more immediate access to their contents, whether I've read them or not. I have the further delusion that there's some permanence to this ... that I'll always be able to enjoy these books. But even for the ones I have read, it's often difficult to go back and find specific information ... favorite passages, obscure facts, etc. This is supposed to be one of the great benefits of electronically stored information. But electronic information fails on the permanence quality. Information gets lost or corrupted, or simply becomes unreadable through hardware and software obsolescence. It may even become unavailable through business failures. Electronic information even comes up short on the accessibility criterion. Sure, I can search my email with GMail, and I can search my PDFs with Acrobat. I can search my archived Web sites with ... well, nothing that I know of, as Web sites are notoriously ephemeral. As the sources of information ... email, blogs, on-line articles, etc. ... grows, the possibilities for saving and retrieving all that juicy info become more and more feeble in comparison. I'm going to experiment with Evernote, which claims to be the answer to all these concerns. I'll report here on what I find. Meanwhile, I welcome any comments or recommendations for storing everything I ever knew or wished I knew. You want to know what's wrong with the world? I'll tell you what's wrong with the world. A circular for a sporting goods store in this weekend's paper showed not one, but two different plastic snowball making/throwing gadgets. Snowball making? For thousands of years, kids were able to make snowballs and throw them with their bare hands. Now they need a plastic utensil for this? cshirky's post about the decline of the newspaper industry, and of the information industry in general, highlights a concern I've had for a while now. It's not just the dead tree technology that's becoming increasingly devalued. It's the content itself. Look at what's happened in the music industry, and what's now happening in Hollywood. It's a slow, lingering death, but the abundance of acceptable quality on-line journalism, music, video, etc. is surely fatal to the traditional creators of this entertainment. At one time, we thought there might be a two-track system, allowing users to get sponsored content for free, or pay extra for ad-free content. But even that appears to be eroding, because advertising is an invisible cost to the viewer ... you don't know you're paying with your eyes and ears. And advertising, in the form of product placements, is getting more invisible and more difficult to separate from the entertainment/information part of the content. Of course, the big shift in this is the disappearance of editing, or at least of reliable editing. Newspaper editors take much of the responsibility for the space, priority, and treatment of news stories, just as years ago, publishers determined what books would reach the shelves. The decline of these gatekeeping functions may sound like a rallying cry for non-mainstream artists, creators, etc., but may also turn the information world into an unstructured, formless blob of competing criers, clamoring for attention. About half the world will never fully understand this, but for those who will, so much of life depends on the proper containment of the scrotum. Striking the right balance between support and freedom is essential to a sense of physical well being. And physical well being is, of course, vital even to engagement in intellectual pursuits. So those grandparents who insist on giving underwear as gifts know what they're doing. The point is not that Consumer Reports has done a bad job. The point is Consumer Reports has tackled an impossible job. Picking a phone is dependent on so many factors – which service provider you want, the quality of reception in your area, and what features you value. There is no way to create a rating system that has all of the answers. The smart phone is such a versatile device that there's no way to create a single rating or score that will be true for all potential users. For example, Consumer Reports claims to have weighed voice quality more heavily than other attributes in their ratings. I use a smart phone almost exclusively for Internet access, email, etc. I occasionally make phone calls, but really, the only reason I got this instead of a separate dumb phone and PDA was to free up one pocket. (See my earlier post, "No Such Thing As Too Many Pockets"). Obviously buzz (the current term for word of mouth) has a lot to do with which devices we choose. But is it possible, as it once was with toasters and washing machines, to come up with objective comparisons and ratings of the current gadgets?